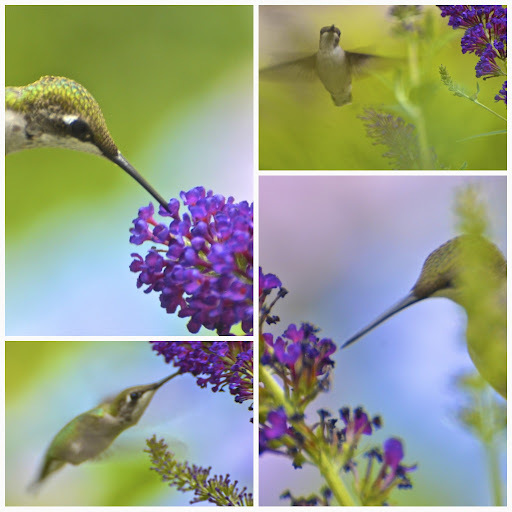 My hummingbird population seems to have exploded the last few days. Several were arguing and chasing each other about in my garden. and hoovered there at least 5-7 seconds, looking in at me. and yet I wanted to change my lens. 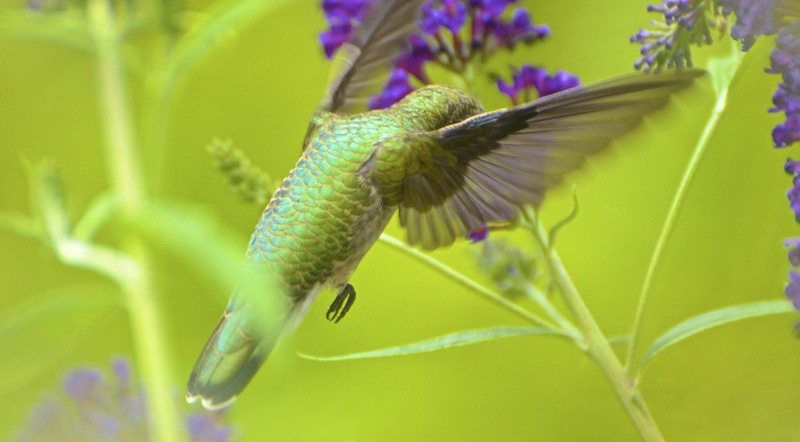 have you seen the pbs documentary on hummingbirds? your shots reminded me of it. My gosh Reena, these are AMAZING! They look like something out of a magazine! I think sometimes you have to take those moments and enjoy them rather than always looking through a camera lens. Your shots are wonderful Reena! 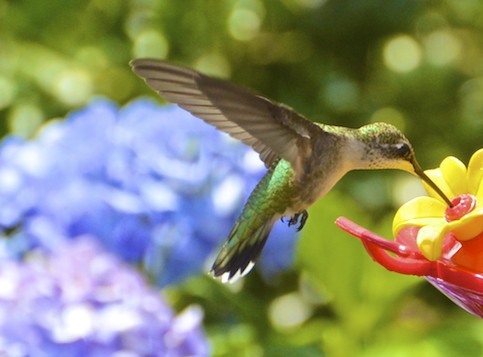 I've never seen a real hummingbird but I sure would like to! You have out done yourself, Reena. The colors...beautiful! Your prose..wonderful! I'm in awe. i love their 'fish scale' backs. so neat! Lovely. Love the colors and sofness. You have some amazing shots - love that last one! The colors are glorious!! The color is amazing and your description just right! I have never captured a good photo of a hummer - I'm jealous! that last one is very intriguing! just love those little guys! movement then they are away in a flash.. Exquisite, captures, Reena! What gorgeous hummingbirds! These really took my breath away! Absolutely superb!! now my day is complete! They must be wonderful to watch. Great hummer images MM. Wish we had those creatures in the UK. Extraordinary colors and shots. I'm thoroughly amazed. Isn't is something witnessing their confrontations and jousts? Great shots. I love to watch the hummingbirds. these are super .. what effect did you use .. was it Picnik's or Flare's? wonderful shots and the last one a photo blessing~! 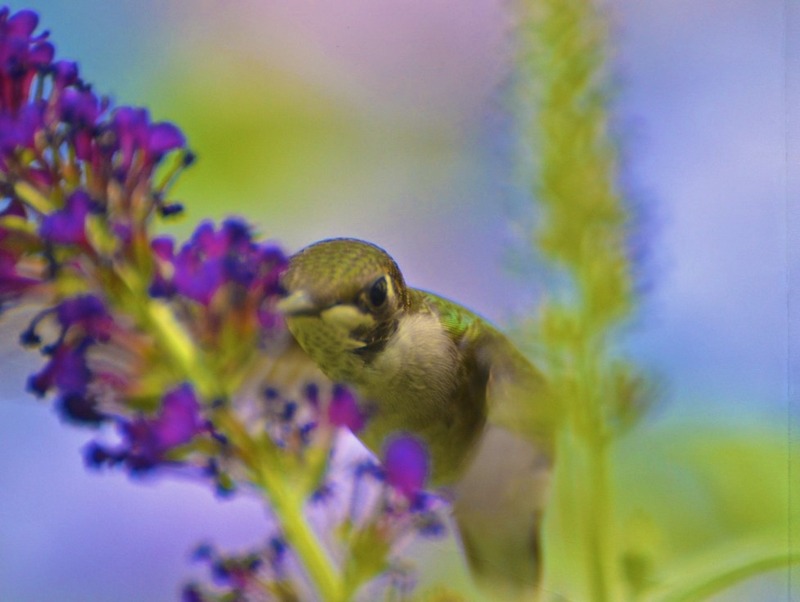 thanks for sharing your images, your words, and your blessing. Those are U N B E L I E V A B L E - and how eeriely vivid! 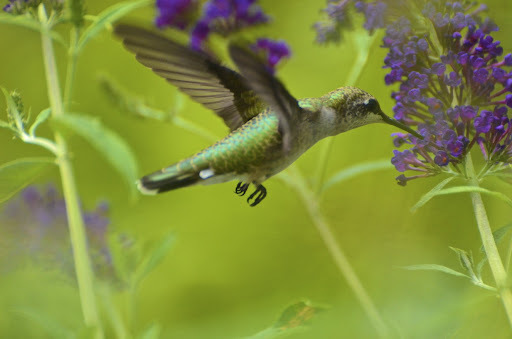 I love hummingbirds and would just love to see one - never experienced it. Love my little hummingbird nest which a sweet blogger once sent me. I love small things and I can't quite fathom the size of a hummingbird nest. Thank you for sharing - I'm blissed out! Wow, you captured some amazing shots. It's so hard to get a decent shot of them because they're so darn fast. These are incredible! So fun to have them in your own yard! The last three are particularly intriguing to me! Gorgeous shots! A delightful set of photographs and beautiful words to go with it too. Absolutely incredible captures! Your blog is beautiful!! wonderful, wonderful photo's!!! i too have been chasing a hummer. i have taken hundreds of pictures and could only share a few on my blog!!! thanks sooooo much for the visit & kind comment. it looks like we have a lot in common, it's going to be fun to follow along. you had me with your flip-flops and bike. So far, I've only seen one hummingbird at our feeder. He's too quick for me to get a shot. In, out, gone. These are really nice shots! Amazing shots!! I'm not sure if my feeder is being visited by these guys are evaporating in the extreme heat! I'm playing catch up - so many blogs to visit! I'm glad I didn't miss yours! Great photos! I have never been able to capture hummers around here - your shots are WoNdErFuL!!!! Love the third to last picture! It's gorgeous. 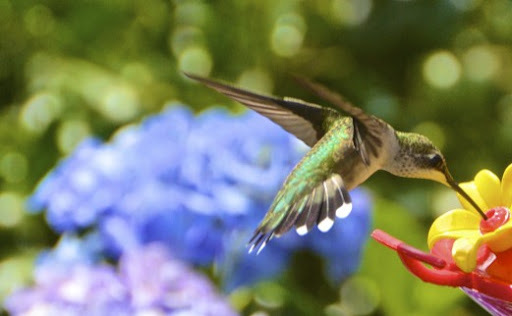 The colors just pop and the hummingbird is amazing. Never seen one up close like this.